As many of you will know, this summer has been a busy one for me. I have gone from one exhausting and demanding (but also exciting and rewarding) week to the next and suddenly it’s September and I don’t quite know how that happened. Because of everything that I have been doing lately, sleep has been in short supply and after many, many late nights and endless hours spent staring at a computer screen, my eyes started to show it. I genuinely looked as exhausted as I felt and that’s never a good thing. 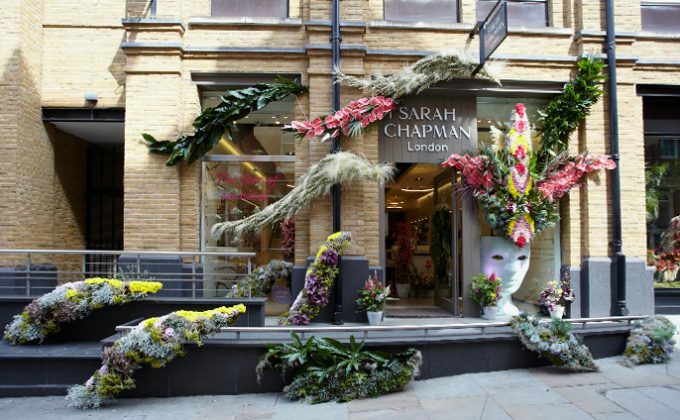 When Sarah Chapman launched two new treatments focused on the eye area, it could not have come at a better time. My eyes were dark and dry, and I had suddenly developed a few fine lines, so it was time to do something. 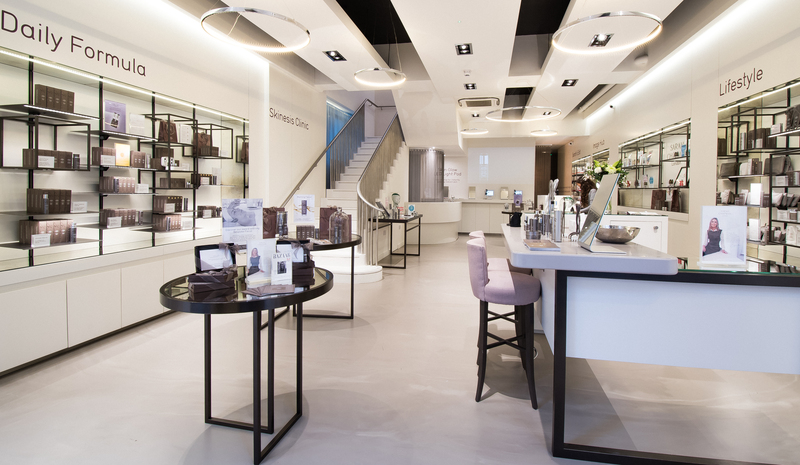 The lovely team invited me down to check out their new flagship location in Sloane Square and let me tell you, it is stunning. If you are ever in the London area, go and check it out. It’s on a beautiful, quiet street lined with the most gorgeous mews, away from the hustle and bustle and conveniently situated across the street from the cutest Prestat Cafe. Inside, the downstairs retail floor is chic, spacious and airy. 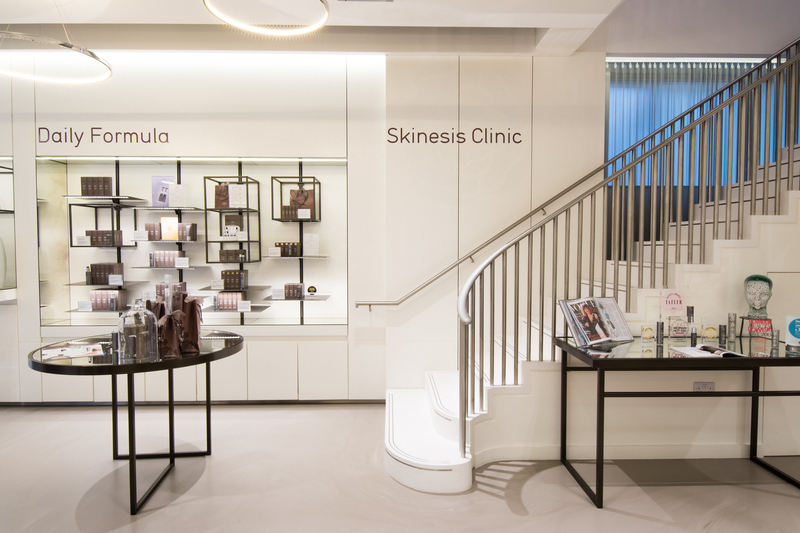 Upstairs where the treatments take place is a beautiful, serene clinic with gorgeous large facial rooms. I absolutely loved it! I was met by the lovely Lisa, a long time Sarah Chapman esthetician and she talked me through the treatments. Eye Bright (60 mins/£140) is more of an eye facial that finishes with a brow tidy and eyelash tint and Eye Tight (60 mins/£350) is a high tech, results driven treatment. I chose to do Eye Tight because it was more suited to my needs, but also because I am such a fan of technology in beauty and couldn’t wait to see how the radio frequency, fractional laser and LED lights were all going to be used together. The Eye Tight treatment is all about lifting and firming the eye area using a mix of manual techniques, as well as the aforementioned technologies for the highest levels of efficacy that will smooth, lift, tighten and brighten. That is exactly what I needed and I was so excited to give it a go. Even though I have had a few facials and treatments in the past, I was still somewhat apprehensive about this one because the eyes are such a delicate area. Lisa was wonderful though and completely put me at ease and made me feel really comfortable. She is seriously one of the loveliest people and has an infectious passion for skincare. I loved chatting with her and it turns out that she actually trained with none other than Caroline Hirons! During the treatment she frequently asked me how I was doing and I don’t think I would have been able to fully relax if it wasn’t for how kind and considerate she was to me. So on to the treatment! First Lisa gave me one of the most thorough cleanses I have ever had. It was an incredible experience and made me realize that I need to spend more time on my skin during that step. I think it lasted a good 5 minutes and she deftly used firm but still gentle, upward strokes and kneading motions to fully prep my skin for the next steps. That cleanse alone made me fall in love with the treatment and I told Lisa she needs to film a tutorial of her technique for YouTube because it was that good. Moving on, the next step was all about heating up the dermal tissue using Endymed Radio Frequency to instantly tighten the skin. This was done around my eyes and felt warm and relaxing. There was no pain or discomfort and I was very relaxed. Next came the more “intense” step. A topical numbing treatment was applied around my eyes, to my upper and bottom lip and once that kicked in it was time for the Fractional Skin Resurfacing. Fraxel is a pretty popular treatment these days because it’s non-invasive and gives you visible results with very little downtime. It’s not entirely painless (hence the numbing cream) but for me it was only mildly uncomfortable and I have a very low pain tolerance. The laser was used around the eye area up to the brow bone and then around my mouth. This part of the treatment is pretty quick so any discomfort is over before you know it and afterwards Lisa applied a cooling and hydrating moisture mask to soothe the skin, which felt so nice. After the mask, the final step was to use blue and infrared Dermal LED light therapy to reduce any inflammation, speed up the healing and enhance the results. I am a huge fan of LED technology and this was used for about 10 minutes and after that I was all done! Afterwards my skin was slightly red where the laser had been but it felt completely normal. After about 15 minutes the redness had subsided enough that I was comfortable going out, so Lisa applied the Skin Insurance SPF 30 to protect my skin from the sun and I was on my way. It was hard to notice any improvements immediately after the treatment due to the redness but the next morning I could clearly see that my eye area was firmer and brighter. One of the things that impressed me the most about this treatment is that the results continued to get better as time went on. After a week the fine lines were less noticeable and about 3 or 4 weeks later when I was getting ready one morning, I realized that the laugh lines that had recently started to form were practically gone! I racked my brain trying to think of what new product could have caused this and then it dawned on me – Lisa had used the Fraxel laser around my mouth and this was the result! I have always believed that when it comes to skincare and health, the best defense is a good offense and this just proved it. Before they had even had a chance to fully develop, my laugh lines had been zapped away and I imagine that for those who already have them, a series of this type of treatment will go along way to reversing their prominence. Overall I am incredibly happy with the treatment and the results and despite the seemingly high price, I would gladly do it again. 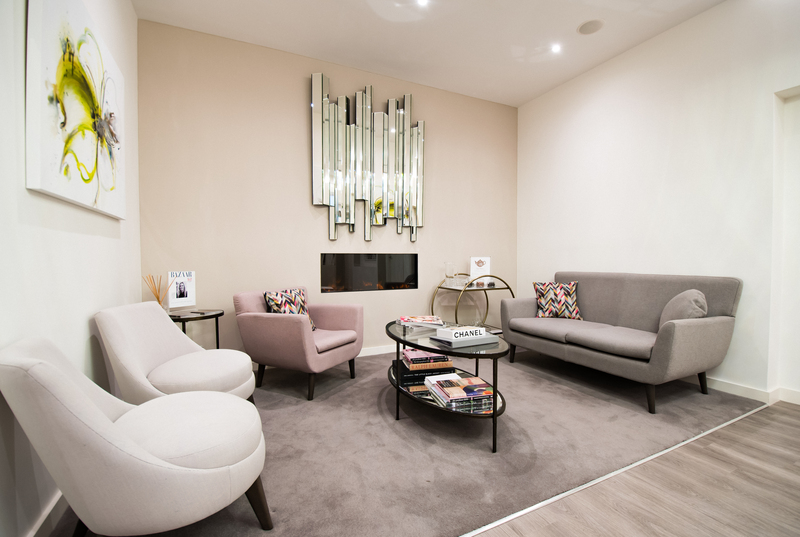 Lisa was absolutely amazing and I can’t recommend her enough and at the clinic they offer a whole host of treatments like steam cell, peels, IPL as well as bespoke facials that you can read more about here. 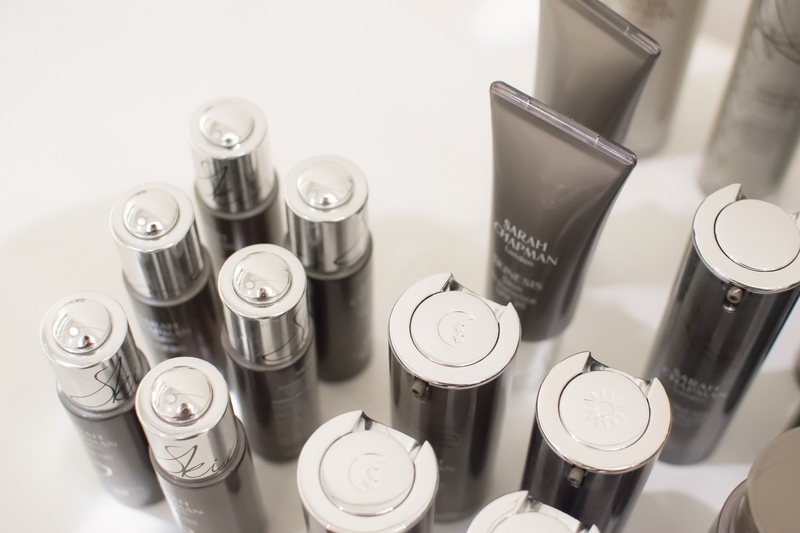 Despite having known about Sarah Chapman for quite some time, I hadn’t really tried the brand before because the products aren’t easy to get ahold of in the US. 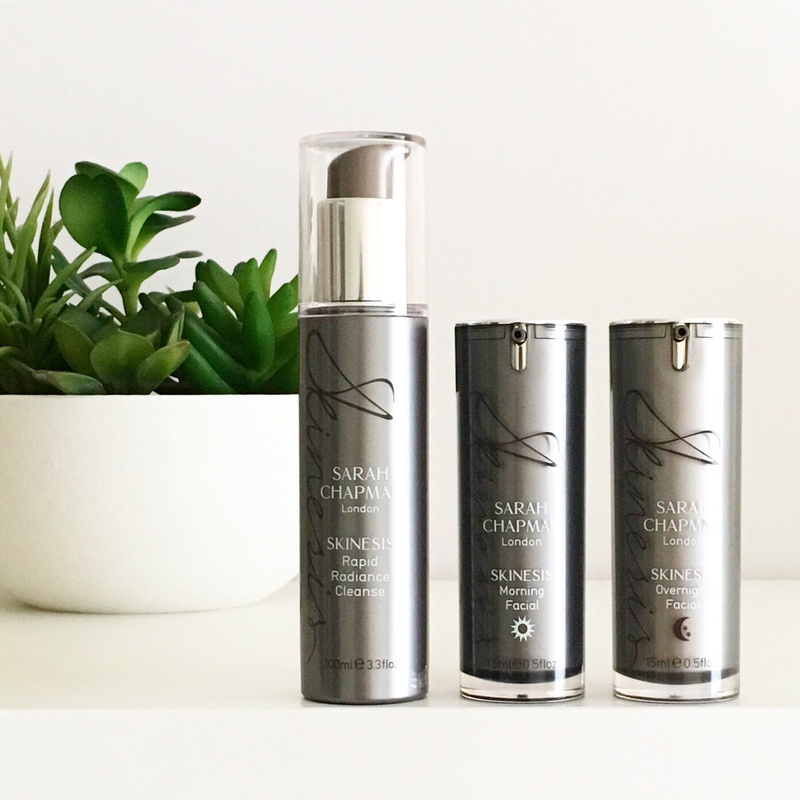 Before the treatment I had been using the Rapid Radiance Cleanse (it’s a less drying version of Ceramic Slip) and the Morning and Overnight Facial and I love all three. Because of that I have teamed up with the wonderful Sarah Chapman to offer one of you a one-on-one skin consultation (in person or via Skype, telephone or email) where you will get recommendations tailored to your specific skin type and needs, which will then be sent out to you to try (receive 4-5 products depending on your recommendations). All the giveaway details are over on Instagram, so click here to enter and good luck! This treatment was very kindly gifted to me for review purposes and my views, experiences and thoughts are entirely my own and 100% genuine. If I didn’t like it or see results I would have happily stated that. This is not an ad or sponsored and there are no affiliation links. Sounds amazing. My eyes could certainly do with that treatment! Thankz for this great giveaway!!! Excited – I’m having the treatment on Friday! !